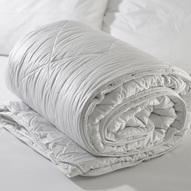 "Feather fillings in duvets and pillows pose no greater risk to allergy sufferers than do synthetic alternatives. Allergenicity to feathers alone is extremely rare and is more likely to develop from the house dustmites that inhabit both feather filled and synthetic bedding"
Protect the whole family from dustmites with these superb all-natural anti-allergy feather pillows. If you have asthma, eczema or dustmite allergies and thought you couldn’t sleep on feather and down, then try a FeatherFresh pillow and enjoy the natural luxury of this exceptional bedding. 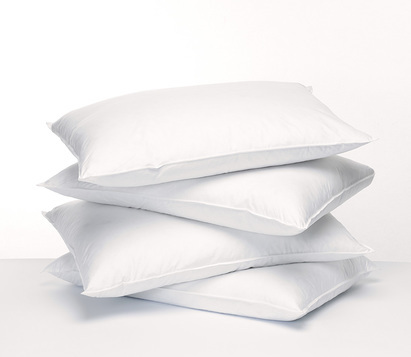 The Downafresh-certified feathers in these pillows have been sterilised and specially treated to make them safe for anyone whose asthma, eczema or allergic reaction is triggered by house dustmites. 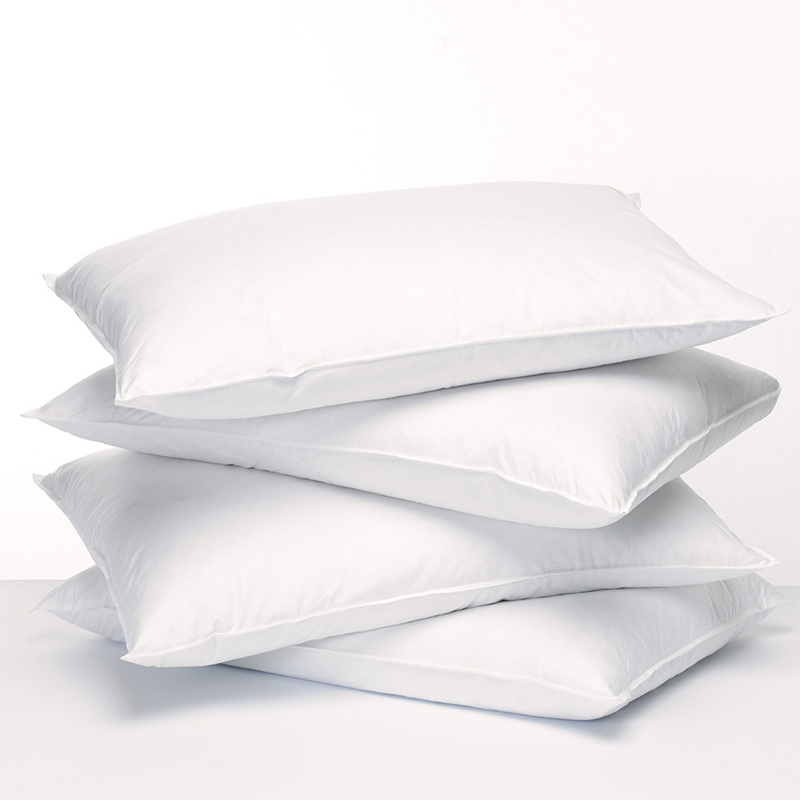 FeatherFresh pillows are covered in dustmite-proof cotton, are light and airy and wonderfully comfortable. They're used in NHS hospitals, have featured on TV, and are an AllergyBestBuys top seller. 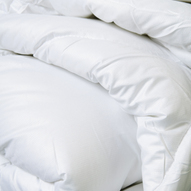 All pillows can be kept free of dustmite allergen if they are washed frequently at 60C or more, but most of them can only be washed at 40C.and become lumpy or misshapen after 3 or 4 washes. But the amazing FeatherFresh pilllows can be washed 300 times at temperatures up to boiling point and will remain plump, comfortable, dustmite proof and hypoallergenic. Highly recommended for anyone with asthma, eczema, rhinitis, dustmite or feather allergies and for good bedtime hygiene. FeatherFresh Pillows are certified by DOWNAPASS. This is a guarantee of animal welfare and means that the feathers are never taken from live birds. Please note: This is a natural product which may therefore have a slight odour. This can be reduced by airing the product out for at least 48 hours prior to use. Newly opened pillows will have a stronger odour due to being inside packaging for a period of time, but this will gradually decrease over a few days.